“Reporting live in downtown Houston, Priscilla Goodwin, Back to you.” As a former television reporter in Houston, I sometimes miss saying that, especially when I see breaking news on TV. Now, as a stay-at-home mom of two little girls, my life is very different and the term “breaking news” has become more literal. Not a news story that would boost ratings. Broken phones, sticky syrup hair, and the smell of diaper cream are part of everyday life for me after trading in my reporter’s high heels for mom flip-flops. I wouldn’t trade it for the world, but getting to that point didn’t come easily. Interviewing celebrities and politicians, flying in hot air balloons, and having a front-row seat to history unfolding was extraordinary. I loved the attention as new friends were impressed when I told them I was a TV reporter. Something was missing, though. I often felt, “I made it! I reached my career goals, but why do I feel unfulfilled and empty?” My confession is that even though I was a Christian and love Jesus, all too often my identity, and sadly, a lot of my self-worth, came from my work. Ugh. While it was an extraordinary job, God clearly meant it was only for a season. He gave me a deeper, more humbling desire. A desire to be a wife and mom. Press fast forward. I’ve been married almost six years and have two little girls. It would be too easy to say my identity automatically went from reporter to wife/mom. I learned the hard way that it’s neither, because with a misplaced identity, I could feel just as empty in my latest calling. My identity is in Christ. And my value comes from Him. My identity and self-worth are no greater or less as a stay-at-home mom as they were when I was anchoring the evening news. What I do is not who I am. It’s not a reflection of my value. The great I AM is who tells me who I am. “Therefore, if anyone is in Christ, he is a new creation; the old has gone and the new has come!” 2 Cor. 5:17. John Piper said, “God made us who we are to show the world who He is.” When God sees me, He sees His Son — not my calling. My hope is that by sharing part of my life’s story with other sisters in Christ, there is encouragement for all of us. 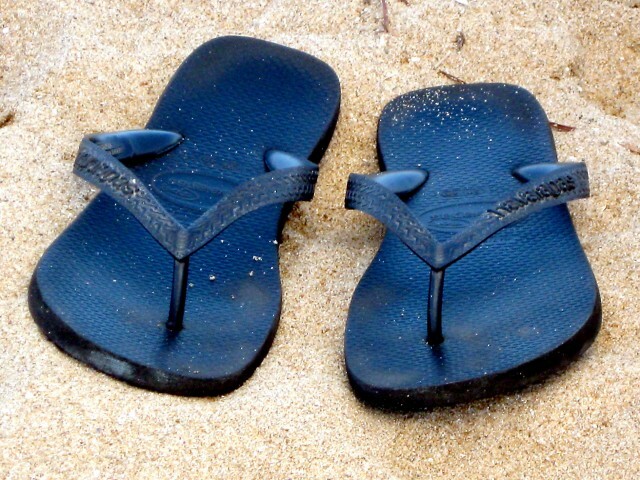 Regardless of whether we put on the pumps for a certain job or hear the hushed sound of flip-flops, God loves us more than we can imagine in Christ. God is always extraordinary. He’s allowed me to find richness in girly giggles, bubble baths, crayon art, and even the wonder of Green Eggs & Ham. When He graciously reminds me of my true identity — an identity in Him — I could see these seemingly ordinary things for what they are: Gifts. Love your article, Priscilla! Thank you for the reminder that our identity is not in anything that I ‘do’ but who I am in Christ.